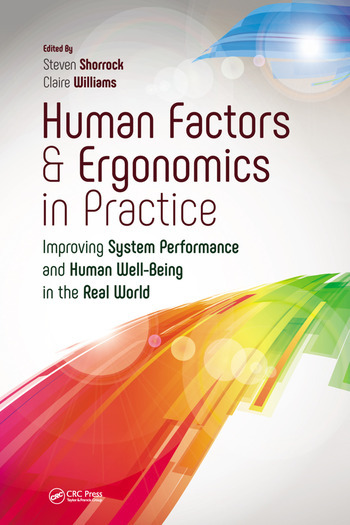 The rail industry offers huge potential for the practical application of human factors/ergonomics (HF/E) to support human-centred design, to improve human performance and to help shift mindsets away from ‘blame and train’ towards an understanding of how work is done and how systems can be improved. HF/E is still somewhat misunderstood within the rail industry, but it is a discipline that is steadily maturing and one that is in increasing demand. This is thanks in no small part to the legislated requirements to consider HF/E, which have increased following a number of significant rail incidents. The long history and traditions of the rail industry are, however, at times at odds with the current demands placed on modern rail networks; there is a very real pressure to modernise infrastructure, improve efficiency and deliver increasing levels of service that have led to significant change and supported rapid growth. To achieve greater efficiencies, many rail operators now look closely for better ways of working, good practice industry-standards, cutting edge technology and even ‘off-the-shelf’ solutions. These characteristics make the rail sector a fascinating and challenging place to be an HF/E practitioner. This entry was posted in Part 3: Domain-specific issues and tagged 'human error', accidents, automation, crew resource management, human factors integration, infrastructure, just culture, legislation, non-technical skills, operational safety, rail, resilience, safety, safety management, safety reporting, standards, technology. Bookmark the permalink.